It's Facebook Fridays! for September 21, 2018, and you can attain a high level of success in all you do! The Lucky Mojo Curio Co. is holding a random drawing to give away 8 magnificent Crown of Success spiritual supply prizes to help you succeed at sports, school, finance, career, and romance. 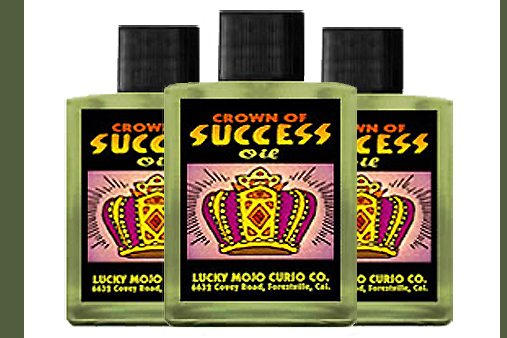 This week each lucky winner will receive a bottle of hand-made Lucky Mojo brand Crown of Success Oil, to anoint your person, dress your hair, feed your mojo bag, fix your workplace, or dress your candles for achievement, fame, and glory. 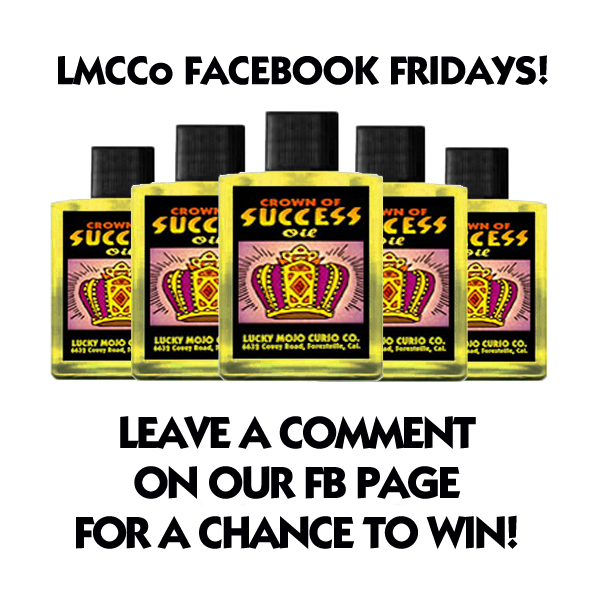 First thing tomorrow morning, we will select EIGHT winners at random, announce their names here, and ask them to message the Lucky Mojo Facebook Page with their mailing addresses, so we can send them their FREE Crown of Success products. Thanks for posting news about this contest. The list of winners should be selected in the next few hours, so there is still time to enter. We have a winner! In fact, we have 8 lucky winners! Our Facebook Fridays! winners for September 21, 2018 are: Samantha Brotherton, Sparky Labrador, Eric Zacharias, Adam Beld, Heather Peake, Monique Bent, Jaleetah Mohr, and Autumn Rosenberg.